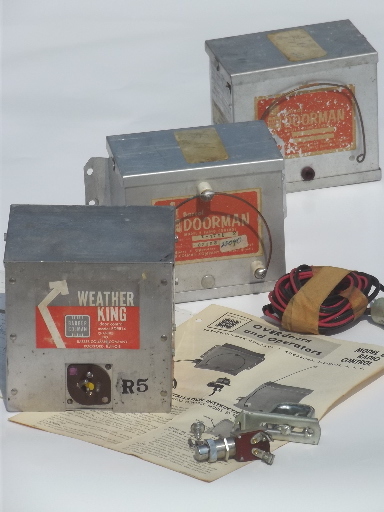 Lot of early radio control units for garage doors openers for restoration or parts. 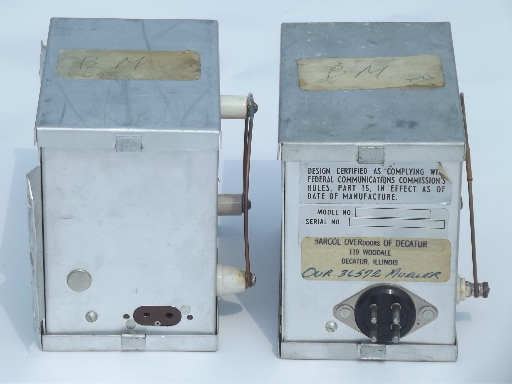 These are all Barbar-Colman controls. 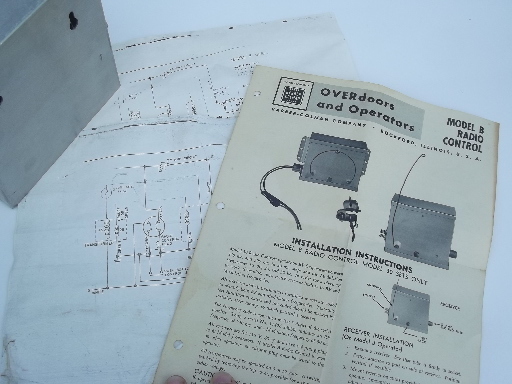 There are some original instructions sheets and (newer) schematics. 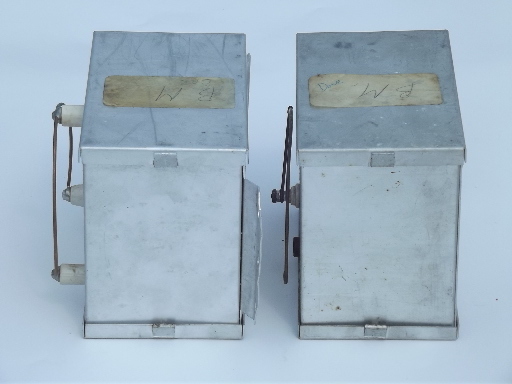 We&apos;re not sure that these are complete. 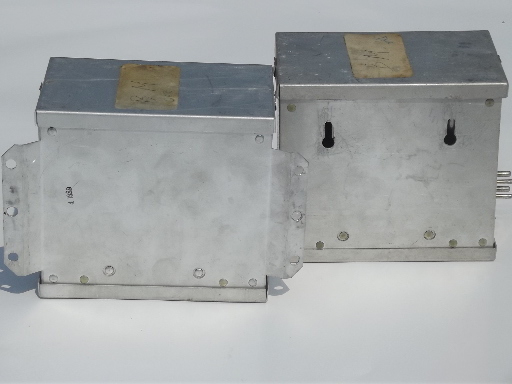 We&apos;re guessing that these are from the 1930s through 1950s. 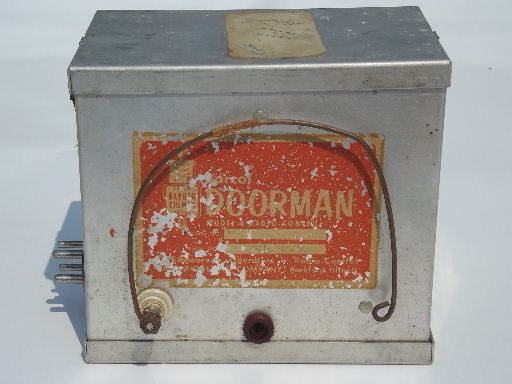 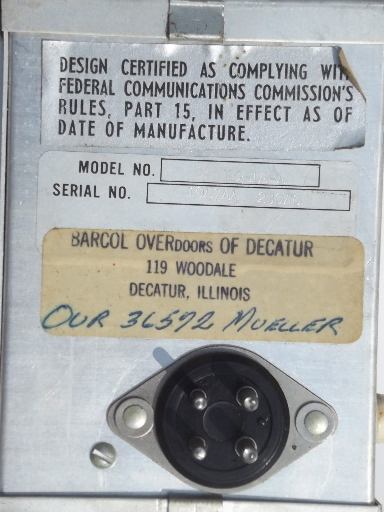 There is a Barcal Doorman model B transmitter and receiver. 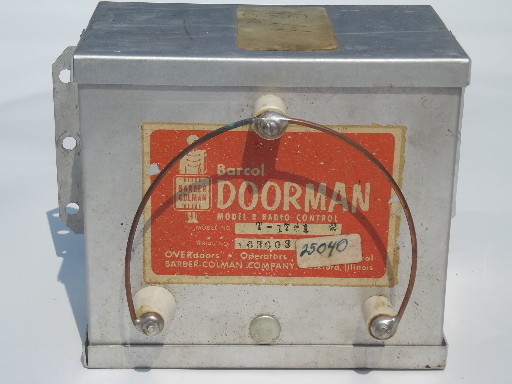 The transmitter is marked T-17-1 and the receiver is marked RB-14-4. 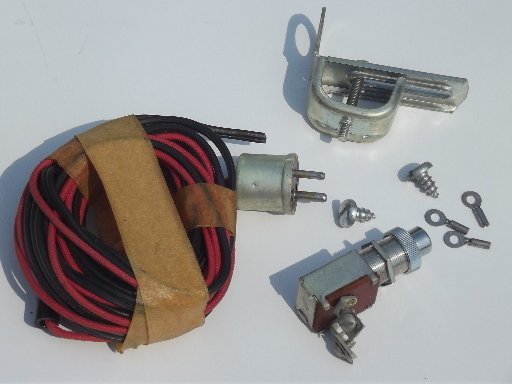 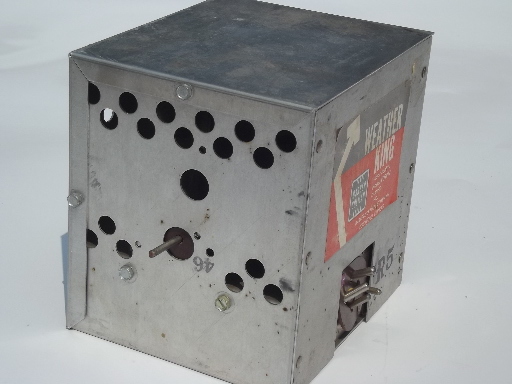 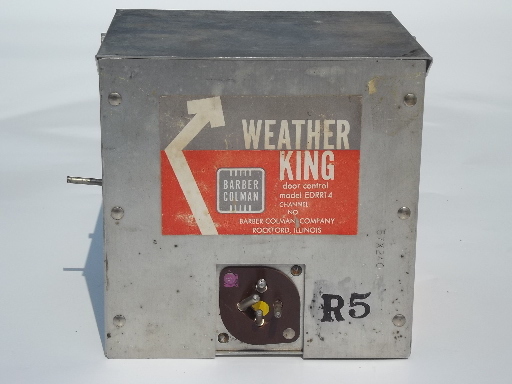 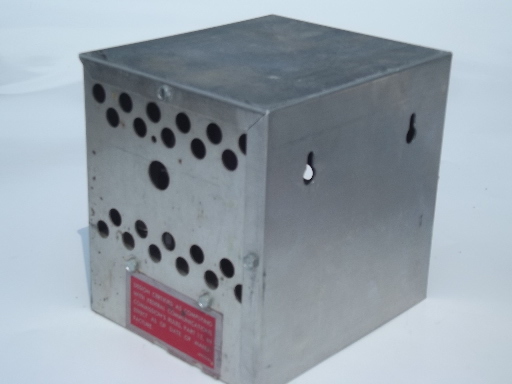 There is also a Weather King control unit model EDRRT 4 (marked R5) with a bent plug on the connector.